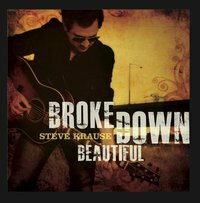 Steve's second CD - produced by Grammy-winner Ben Wisch (Marc Cohn, David Wilcox) - is engaging, vulnerable, and refreshingly honest. Inviting, accessible melodies are paired with provocative lyrics to alternately expose the soul or set it soaring. download your copy today on CD Baby or on iTunes.